So, you thought you turned off the notifications for an iPhone or iPad app, but it’s still bugging you with unwanted banners, beeps and badges. What gives? Well, just because you switched an app’s “Alert style” setting to “none” doesn’t mean you’ve turned off all of its alerts. There are, in fact, a few more notification settings that need tweaking—and if you don’t, expect more messages on your iPhone’s “lock” screen, red badges on your home screen, and blaring alert tones when you least expect them. Make sure you don’t miss these options when tweaking your iPhone’s notification settings. 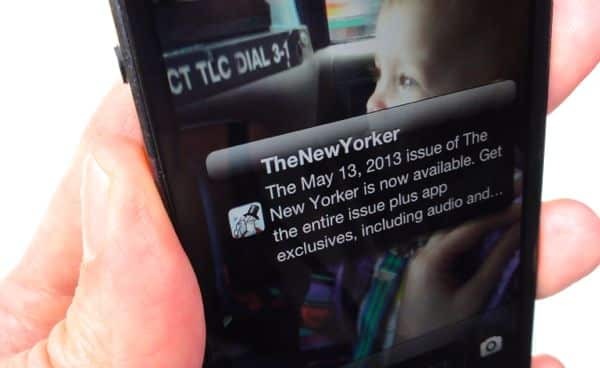 Even if you diligently turn off all the other alerts for a given app, the app may still flash alert banners on your iPhone’s (or iPad’s) “lock” screen from time to time. 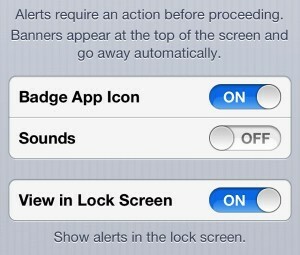 Related tip: What’s the difference between an alert, a banner, and a badge? Want to banish the banners for good? Tap Settings, Notifications, then scroll down and tap the name of the offending app. Scroll down again until you see the “View in Lock Screen” setting, and make sure it’s switched off. 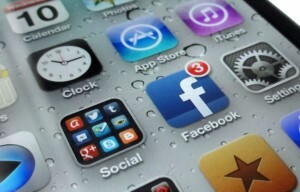 Seeing lots of little red badges stuck to the apps on your iPhone’s home screen? Those numbered alerts are there to notify you of…well, just about anything, from an unread email message to a nagging reminder that you haven’t played “Words With Friends” for a month. Had enough of these nagging little red badges? You can turn them off in just a few taps. If there’s a specific red badge that’s driving you particularly batty, you can turn it off in just a few taps. Again, tap Settings, Notifications, and tap the name of the app that’s flashing an unwanted badge. Scroll down once more, then switch off the “Badge App Icon” setting. You set your iPhone to “silent” for an important company meeting, only to hear an embarrassingly loud “beep!” coming from your pocket right in the middle of your boss’s presentation. Ack! Yep, the alert tones for some iPhone apps may still sound off even when your handset’s ringer switch is off. Annoying, right? You guessed it—head back to the iPhone’s Notifications settings (Settings, Notifications) and tap the app you want to silence. You can temporarily silence all iPhone notifications and calls by turning on the “Do Not Disturb” mode. You can get a temporary break from iPhone notifications thanks to the “Do Not Disturb” setting. Tap Settings, then flip the switch next to “Do Not Disturb,” or tap Settings, Notifications, Do Not Disturb to schedule a daily quiet period. Keep in mind, though, that Do Not Disturb will only block notifications while your iPhone is locked—and don’t forget to switch it back off when you’re ready to get calls again. Click here for more iPhone tips, or click here for help with your iPad.